Scarface‘s production woes rumble on. The Hollywood Reporter has the scoop, revealing that Suicide Squad and Bright helmer David Ayer has now walked away from the troubled project after his take on the script was reportedly deemed “too dark” for Universal’s liking. Exactly how dark we’re talking here remains to be seen, but one would assume that a modern interpretation of Scarface, a story that has been adapted twice before in 1932 and most famously by director Brian De Palma in ’83, would require a fair amount of gravitas to properly retell the drug-fuelled saga of Tony Montana. 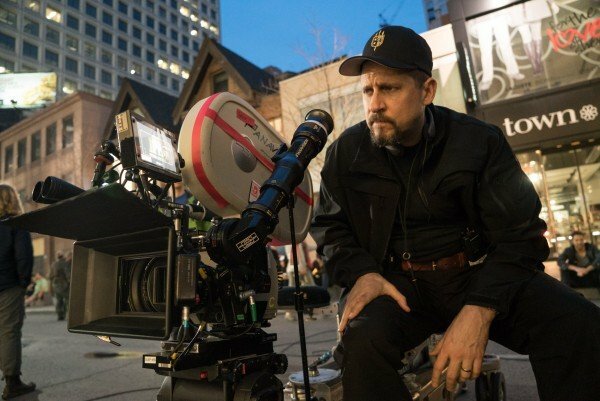 However that may be, it should be noted that David Ayer merely flirted with the possibility of helming Scarface for Universal, as his stacked slate already includes two high-profile projects: Netflix fantasy drama Bright and Gotham City Sirens, the DC spinoff movie to be anchored by Margot Robbie’s Harley Quinn. This, coupled with the fact that Universal wants to start shooting by the year’s end, only pushed Ayer closer to the exit door, and in light of today’s scoop, he now becomes the second director to part ways with the remake after Training Day‘s Antoine Fuqua. Other filmmakers that have come into contention at one point or another include David MacKenzie and Peter Berg (Patriots Day). In more positive news, Rogue One actor Diego Luna is still attached to headline the gangster thriller, though it’s unclear as yet who will replace Ayer at the helm. Universal is reportedly eager to fast-track its Scarface remake so that cameras are rolling in the fall, but following the loss of David Ayer, there’s still a great deal of uncertainty looming over the long-in-development picture. Stay tuned for more.